Above Ground has long questioned Export Development Canada’s assessment of environmental and human rights risks posed by its clients’ operations. Now the auditor general is warning there are “significant deficiencies” in the agency’s overall management of risk. 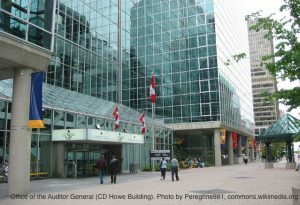 In a report released Monday, two weeks after we called for an overhaul of anti-corruption measures at Export Development Canada (EDC), Canada’s auditor general finds that the agency lacks the systems needed to effectively manage risk. The report notes that EDC does not have a systemic process to gather risk information from its business units, and that its directors are not being given the information they need to fully understand risks. The auditor general identified some of the same weaknesses almost a decade ago in a 2009 audit. These findings add further weight to our call for strengthened regulatory oversight of EDC. With the Export Development Act coming up for review this year, Parliament should introduce meaningful legislative reforms to bring risk assessment at the Crown corporation up to par. It’s crucial that those reforms address the social and environmental risks posed to people and communities by prospective and existing EDC clients, given the agency’s dubious track record assessing such risks. Your contribution allows us to pursue our work holding companies to account.